Almost seventeen years after it began operations on a modest scale, Usha School of Athletics in Kerala is set to receive its first batch of trainees from overseas. 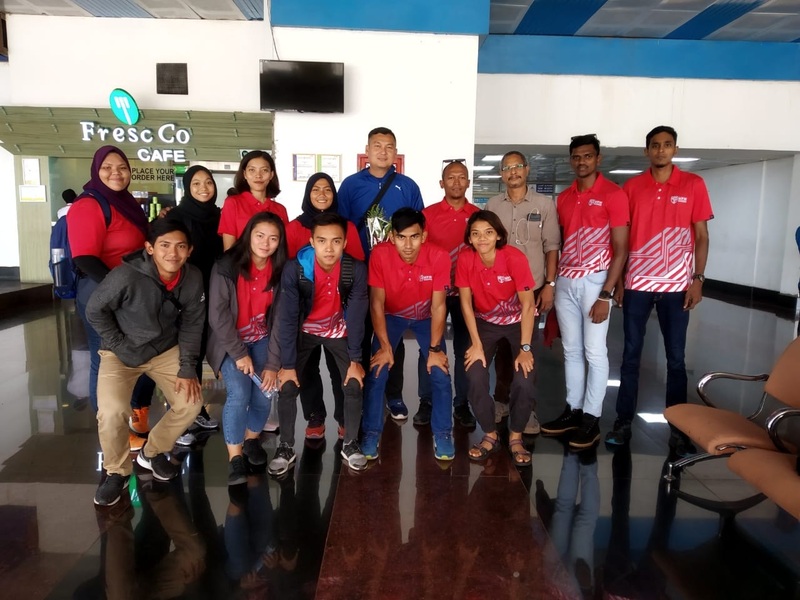 A team of eleven athletes – six girls and five boys (plus their coaches) – from Malaysia’s Putra University are expected at the school from Saturday, March 30, 2019. They will train for ten days. The visiting athletes straddle a range of disciplines, V Sreenivasan, treasurer of the school and one of its directors, told this blog at the school premises in Kinalur near Kozhikode on Friday. They are at the school for advanced training. According to him, from commencement of enquiry by the university to the arrival of the team at the school, it would have taken roughly two months of mutual communication and coordination. The co-founder of the school and its chief coach, P. T. Usha, is among India’s most reputed athletes. While many elite athletes retire and fade once past their prime, she is one of the few who elected to contribute to athletics by starting an athletics training school. The school commenced work from rented premises in Koyilandy in May 2002. After the Kerala government provided it land on lease in Kinalur and initial facilities were set up, the school shifted to its current location. It has groomed quite a few athletes of national and international caliber, among them – Olympians Tintu Luka and Jisna Mathew. Enquiries similar to the one from Malaysia have emerged from institutions in Sri Lanka and the Middle East too, Sreenivasan said. In 2018, I participated in three major marathons – Mumbai Marathon, London Marathon and New York City Marathon. Including training sessions, that was a lot of running. I was getting weary of running. 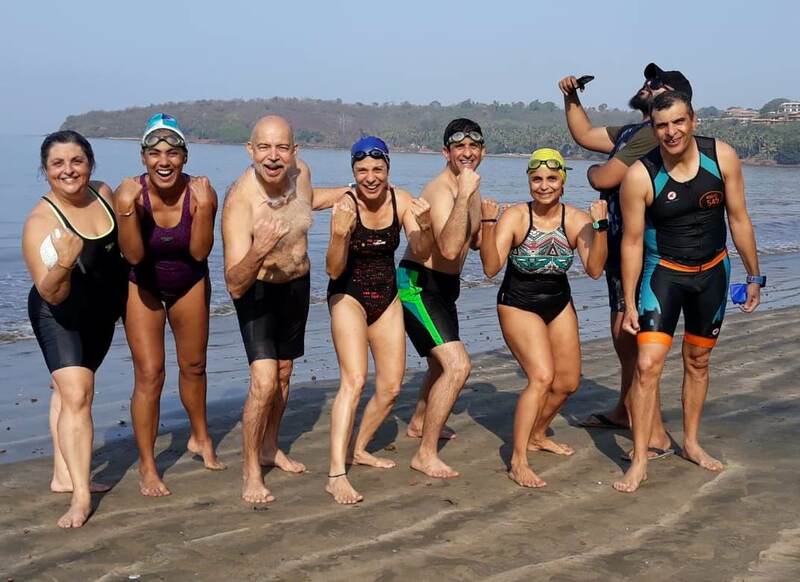 Many of my friends had participated in Swimathon, a sea swimming-event in Goa, organized by Enduro Sports. Some of them suggested that I attempt it. I took up that idea and decided to enrol for the event’s 2019 edition. Several years ago, I had learnt swimming at the pool at YMCA, Bombay Central. I ended up training in the breast stroke; I was not very proficient in freestyle. Every now and then I used to swim. Swimming is good cross training for running. One of my friends, Zarir Baliwala, is a member of Breach Candy Club. I would go with him. He is a very good swimmer. For Swimathon, I signed up for the event’s two kilometre-distance category. My preparation for the race was great fun. They say that one should enjoy the process and not worry too much about the outcome. This was entirely true for me in the case of Swimathon. I just completely enjoyed the process, right from deciding to enrol to finishing the event. My event was on March 24, 2019. I landed in Goa on a Thursday. On Friday, many of us who were participating in the various races decided to do a small practice swim. This was the first time I was stepping into an open water situation. My training had been entirely in the swimming pool at Breach Candy Club. However I was absolutely comfortable swimming in the sea at Goa. It was more like a bay. We swam for 600 meters just to get familiar with the water body. On the day of the race, there were about 200 swimmers attempting the same distance (2km) as me. It felt like a giant churn when the swimmers started the race. As I was first timer, I decided to wait until the swimmers had all started and then commenced. Also, most of them were freestyle swimmers and I was doing breast stroke. I thought it was best to allow them to go ahead of me. My aim was to finish the race. Just two weeks ahead of the event, I had suffered a back problem. I had experienced similar back problem soon after the Mumbai Marathon too. We had to swim a distance of one kilometre, turn around and come back to log the scheduled distance. The going was a bit tough for me. The current in the sea was quite strong and it was flowing against the direction the swimmers were moving to. At the turning point many swimmers collided into me and I ended up getting cramps in my hamstring. I lost about five minutes trying to get to the other side of the boat marking the half way point. But once we turned, the current was in our favour and the return to the finish line was quite easy. I was not tired at all. In fact, at the finish line I felt I could have gone on for some more time. Also, I guess because of my long-distance running, I had the endurance to sustain it. If your breathing technique is right there is very little chance of getting tired. Because I was doing breast stroke, sighting the route was not a problem for me. I exceeded the time limit of one hour, fifteen minutes assigned for the swim. I finished the race in 1:19:21. Initially, I was a bit disheartened. But then I remembered my first ever run. I had so much difficulty that I had to walk the second half of that half marathon in Mumbai, years ago. Compared to that, the timing here at Swimathon was not bad at all. It is good to know where I stand. I can now train better. Overall, it was an extremely enjoyable experience. It was a well organised event. During the race, there were so many kayaks going around with volunteers asking the swimmers if they needed any help, hydration etc. There were quite a number of volunteers. There were many participants too; the estimate I heard of was – over 600 swimmers across various distance categories. Swimming is definitely on the cards for me. I plan to now train in freestyle swimming because that gives you more speed compared to the breast stroke. I also plan to learn cycling. I would definitely like to attempt a triathlon. This year, I will be attempting Berlin Marathon in September. I will be registering for Tokyo Marathon and Chicago Marathon – both in 2020 – to complete the World Marathon Majors. Once that is done, I may look at triathlon or running events entailing distances longer than the marathon. How did you get to know Satyanarayana? What was it about his writing that attracted your attention? When you talk about Himalaya, to go there on your own, self-supported without any groups – the challenge therein is one of not much clear information on the map. Generally speaking, there are very few good blogs available to go through. An exception is Satya’s blog. When you start searching for the names of mountain passes you will be directed to his blog. Satya has been to the Himalaya extensively. The surprising thing was that he was from Bengaluru and not from North India. He was extremely good with maps. He used to get Survey of India maps; they have a lot of terrain data. He used to take photos, digitise them. He used to geo-reference-index them. He used to explore a lot of trails that were documented on those maps. Satya was pretty good with technical details. He documented the passes he went to accurately with GPS logs and latitude-longitude of campsites. Even the maps that he used for navigation were available on the website. Somehow, I was able to contact him through an email id and he called me. We had a long chat on the phone. He was leaving before me on a one-month journey exploring more of Kinnaur and Ladakh. Listening to him on the phone – I never met him in person – he came across as a very caring person. He was very accurate in his blogs. 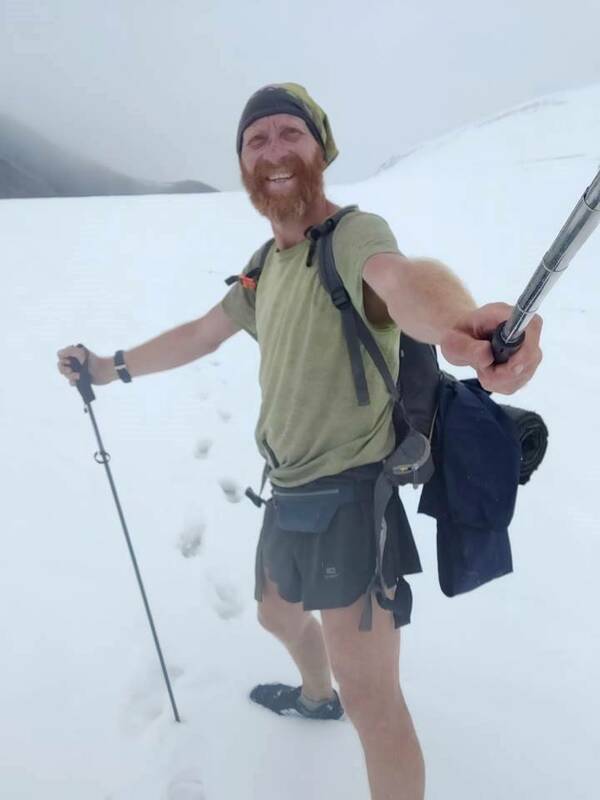 He was going on a solo self-supported trip without guides and other hikers. That was my style of traveling too. Was it your plan all along to do this solo or it happened so because of other reasons? I got inspired seeing a board of Himachal Tourism. It showed a lot of passes. That board triggered it off for me. I had done some solo biking in Himachal but most of the time I was running with a small group of two-three friends. This time also one of my friends was planning to do a little bit of exploring in Pangi valley sometime in August. That was the initial plan for two weeks. I had a lot of friends at Chennai Trekking Club (CTC) who were making plans. Some were planning for July, some others for September. Then I said I will do two weeks with one set of friends and another two weeks with another group. But as it turned out, although they were ultra-runners some could not mentally sustain the strenuous environment with glaciers and cold temperatures, especially when it started raining. Some suffered altitude sickness. Eventually, about 70 per cent of the time I ended up being solo. It is an experience. It was scary after the first group left. But once I got into the solo momentum it was fine. The terrain was quite complicated, weather was challenging. Going solo allowed me to go at my own pace, comfortably, without having to wait for people who were slow. In addition to what you got from Satya, how much more homework did you have to do? Satya’s blog had a lot of information. But he had grown over the years, meaning in some phases he was not that accurate and not that technical. It was in recent years that he became really proficient with maps and GPS. I also took a lot of data from street maps. They are the public equivalent of Google maps wherein if you go beyond the roads you can see trails. Then there were two to three blogs which were very useful. Based on all these inputs we started identifying the exact location of the passes I wished to attempt. Was the master-map your individual work or was there a team from CTC that worked on it? Mostly it was me and Maniraj. He is quite good with maps. Mani has done a lot of hikes; in fact he has hiked for more years than me. 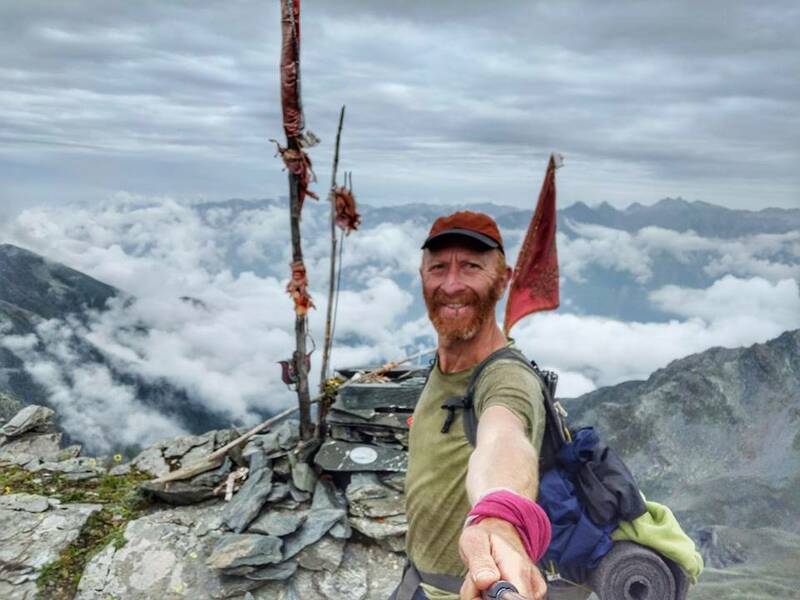 He has done hikes in parts of Uttarakhand and Ladakh. He is also technically sharp. He offered a lot of inputs on the maps. Both of us are good at looking at satellite images and finding trails that are one metre wide. In terrain like Ladakh which has very little vegetation it is easy to spot trails. The colours and contrasts of trails make them visible. Putting our skills together we made a beautiful map. Initially we planned some 21 passes but then we kept adding. This was the first time you were going off-road in the Himalaya. Was it easy for you to do that with just maps for guide? For many of the trails there were GPS logs which always gave a good feeling. They had been prepared by others after being on these trails; they were accurate, so chances of getting lost were remote. If you go off track you can always work your way back by looking at these logs. This is helpful especially in places featuring glaciers and moraine; they resemble a battlefield. Having GPS log was quite useful especially in places like Pin Parvati. In such places not having a GPS log would have been tough. You could cross over to the wrong side and make a fatal mistake. Having GPS logs and over ten years of experience roaming around in dense jungles gave me a lot of confidence. Further when you get above tree line in the mountains, you get a good view. But I was wary of crevasses in glaciers and thoughts of getting stuck; I was very cautious about these things. In some places the maps we used were old and features had either changed or grown over or landslides had altered the landscape completely. A couple of times I got totally stuck. On one pass there was a trail but there were too many bushes, thorns and it was too steep. Then I tried the same pass from the other side and I got the right trail. One good thing about the passes is that they are like saddles and on both side there are valleys. It not landscape with many sides. That helps. The problem I faced was – wild streams. You better be on the correct side of such streams as you don’t get a second chance to cross. You mentioned about the board you saw near Koksar past Rohtang Pass, which was the start of the whole project. Was that the reason why you picked Himachal? Did you have the option of going to any other state? I am quite familiar with this region. For three to four years I had been running in Pangi and Chamba. Rohtang Pass, Spiti-Zanskar all that was quite familiar. Given I used to stick to the road, I was not familiar with the ranges. I was also familiar with the terrain from a biking point of view. I had gone there in 2000-2001 and also a few times more recently. That’s why I picked Himachal. Uttarakhand is on my plans for 2019. In terms of number of passes were you comfortable with the number of passes you chose? It is an ambitious number of passes that you tackled at one go…. Whenever you go to the Himalaya, typically you go for one pass. You need three-four days for acclimatization. The thing is – from the second pass onward I don’t need to acclimatize. I have been hiking up to an elevation 2500 meters in South India. We knew forests, alpine meadows – this was known terrain. Once you stepped above 3000 meters you were in rocky areas, moraine, glaciers, passes which – for me – was unknown terrain. I didn’t know what to expect there. I did not know the rate of progress, how long it will take. But my history of being a hiker and ultra-runner – I had run over 2000 kilometers in Vietnam – that helped in terms of strength and lung capacity. I have been able to go at a good pace even at high altitude. Also having mental endurance helped. What I saw with those who kept me company on my wilderness trips was that they were not intimidated by the terrain or the physical difficulties. They found it tough mentally. Going solo is easier than taking a group of 20 people along. With respect to gear, you whittled everything down to five kilograms. Was this something you developed as a standard from your runs or was it something that you arrived at specifically for this project? On most of the occasions that we ran from town to town we didn’t have to carry food. Stay was easy. Also, we were running with a mix of runners and cyclists. We had the luxury of dumping all the camping gear on the cyclists. 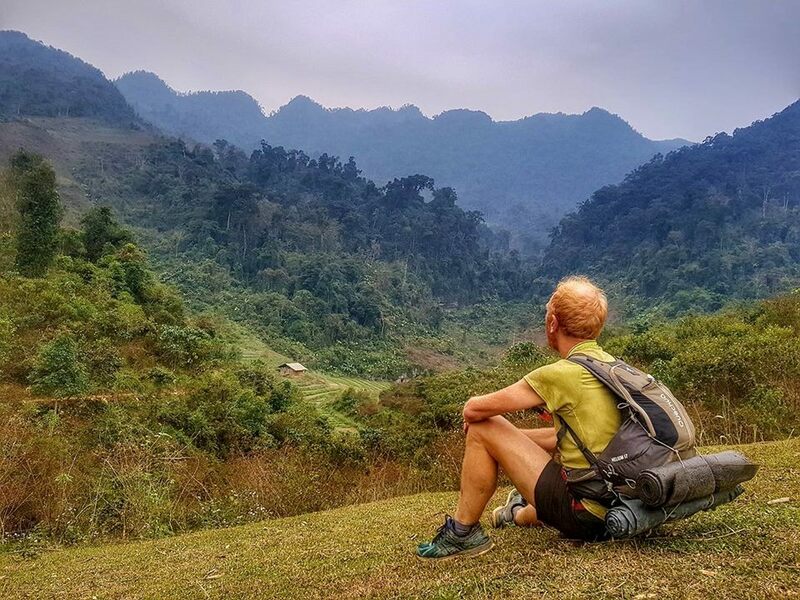 That meant we were running completely free with zero luggage, no food, no camping gear – that was so until I went to Vietnam where I did a solo run and had to carry some basic stuff. I didn’t have to carry too much. I went in winter when temperatures (including at elevation) go down to five degrees and it is around 30 degrees during the day. I had to carry some amount of shelter and warm clothes for the night. There I was running with a four kilo bag, not as heavy as the one that would be needed in the Himalaya. 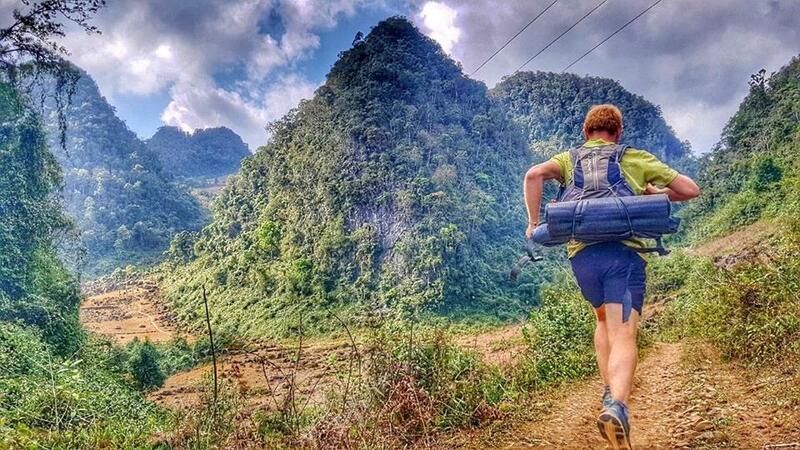 In Vietnam I ran 50 marathons with that four kilo bag though not at high altitude with low oxygen. There I felt quite comfortable. From the beginning itself a group of cyclists came along. It was a good experience. In Himachal was the run originally planned for 75 days or it turned out to be so? I had planned for less number of days, may be one and a half months or two months covering 21 passes. But as days went by Mani kept adding passes! In Kinnaur, I did not want to go by bus to Leh. He said try this pass. Like this we kept adding and adding till the start of winter. Was Mani adding passes even as you were out in the mountains? Yes. Whenever I reached town and had access to 3G I would download. He was a good guy to have at base camp and kept supplying me with useful options. Peter, do you still have your job? July 2017 I quit my job. Financially I was independent. I had to scale down. I was making good money at Cisco as a project manager. Because you make a lot of money, you buy a lot of things. You earn money; you spend money. You sit in traffic every day. You waste a lot of your life sitting in a cubicle attending to work. My work was interesting but I am 46 now. I should think about my life too. When you have a job, whenever you want to go on a trip like this one you are stuck with just two weeks of leave. That kind of time does not give you freedom. From day one you start counting the days and you always get the feeling that time is running out. So quitting that job and scaling back a little financially – it really felt as though you could go on for months and be able to decide from day to day. You could look at a valley you found yourself in and say: now I am going to spend some time here. This time I could enjoy my trip without being too stressed for time. Was this project designed with limited capital in the frame? This was one of the cheapest trips I ever did. Both in Vietnam and in Himachal I spent Rs 200 a day apart from the expenditure incurred to travel to the place. The major cost in such travel is transportation and stay. I was always traveling by state transport buses and staying in a tent or in somebody’s home or shelter. The only expenditure was food and food in extremely remote places is quite cheap – like Rs 60 for a nice plate of ten momos and five rupees for tea. I must have spent some Rs 5000-6000 for a whole month. You however need to spend on gear. I spent around Rs 2500 on my first pair of shoes. I wore down some three pairs of shoes on this run. This particular project is the culmination of how many years of experience? First of all you need to have physical fitness. I also mentioned about mental endurance. Then, if you really want to do these things self-supported you need experience in navigation plus you need enough time to spare. That kind of combination makes it unique. There are quite a few things involved. So you won’t find too many people doing this even though they may be physically fit or mentally fit. But just looking at the physical aspect, I have been running very consistently for the last five years since I started running in 2013. Running is all about consistency. I have been doing weekday runs and during weekends, my long runs are trail runs. Running long distance so, gets your legs used to rocky trails. I have seen a number of runners struggling to balance on rocks. Also, the elevation practice – you need to go up and down. In Chennai, I run at least twice a week on nearby hills which also give an elevation gain of 500 meters. Running on trails and tackling elevation makes you stronger than running on flat roads. You would encourage people to start small before scaling up? Yes, two factors are essential – regularity in running and patience in scaling up distances. Running has to start slowly with easy pace; else, you risk injury. It is also about enjoying your run, not just about speed. But young people are very impatient, they want to see results. There is too much running to prove to other people. City runs are more about competition, medals and timings. Once you step into nature running becomes a different thing. It is about enjoying your surroundings, mentally engaging by looking at the beauty of nature. That way you can continue to run from morning till evening. At the end of the day you actually feel refreshed because you ran through so much beauty. Ultra-running is a totally different experience. In the outdoors did you move continuously through a given day or you chose your hours; when to be active and when to rest? In the south, we used to definitely have a break from 12 noon to 3 pm. It is too hot and humid. But in the Himalaya I kept going from sunrise till sunset because there it was not very sunny. Weather was always pleasant, never hot. The sun was intense but not hot. So, it was comfortable to keep going but you can’t have a constant pace. When you ascend you have to switch to walking. After you cross a pass initially it is quite steep and then when it flattens out you can start running. The Himalaya is endless, so I think I will keep going. In summer I will be going back to Himachal, Uttarakhand and Ladakh and trying to cover 100 passes. I took these 100 passes from another blog. I will be referring Satya’s blog too. He has traveled so much and gone to areas which are so remote. I would like to walk in his footsteps. And then you have the backup security of meeting some shepherds. That will be the summer plan. In winters I am planning to run in different countries. I am planning to go to Laos. I don’t want to go to touristy places. I want to make my own route and go running where people don’t go. You are designing your own trips. Are you also attempting international ultramarathon races? Yes, I have been doing that. In 2017 I did so. But the point is – once you become self-sufficient and make your own route, carry your own gear; you don’t depend on aid stations, you also navigate by yourself. Organized events will always be competitive. You can’t enjoy them because they will say you have to finish it in specified time. You end up running day and night. By the second night you are sleep deprived and you start hallucinating. The enjoyment of running is not there. It also feels artificial that people stand in the middle of nowhere with food, pasta, biscuits and Coca Cola for you. Someone who is serious should go on their own with food in their bag and explore the outdoors. Once you go to that level, there is no stepping back to doing events. Not to mention the expense incurred for participating in these organized events. Many of these races are quite expensive. Add to that flight tickets and stay. With that kind of money I would rather spend a month in the Himalaya. At 46 you left your job and now you are full-time in the outdoors. How do you imagine your life ahead? I now know that you can do this in a very cost-effective way. If I had known this I would have done this much earlier instead of spending 25 years in a cubicle. I met two cyclists from Belgium; they had been on the cycle for over two and half years. They pedaled all the way from Belgium through Middle East and Kazakhstan to India. They were just 21 and 29; a couple. I have seen a lot of people like that, touring. They earn for six months and then disappear somewhere for six months. I had studied hard and then, worked hard. Looking back, I feel the quality of life is not in making money and buying fancy gadgets. In the remote areas I visited, I met real people; I woke up every day in a different place to a different sunrise. Each of those 75 days was amazing. The most important thing is to be healthy. In Chennai, you are also associated with open water swimming. Are you contemplating anything in open water swimming? 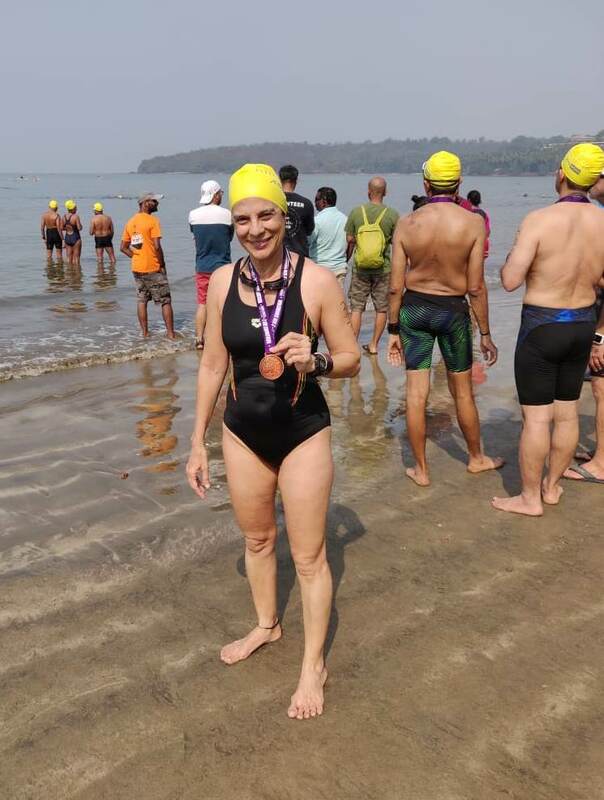 Once in Chennai we did a 15 kilometer-swim from one town to another. Swimming is good; you can keep swimming and not feel tired but swimming in the sea can be boring. It’s akin to running on the roads as opposed to running in the mountains. It was possible to keep running day after day during my 75 day-run because I was mentally excited. Every day was unique. Every pass was unique, the approach, the challenges. Every one of those 40 passes was a completely different experience. You go from forests to meadows to rocks to glaciers. Mountains give you the mental stimulation to keep going as opposed to the plains. 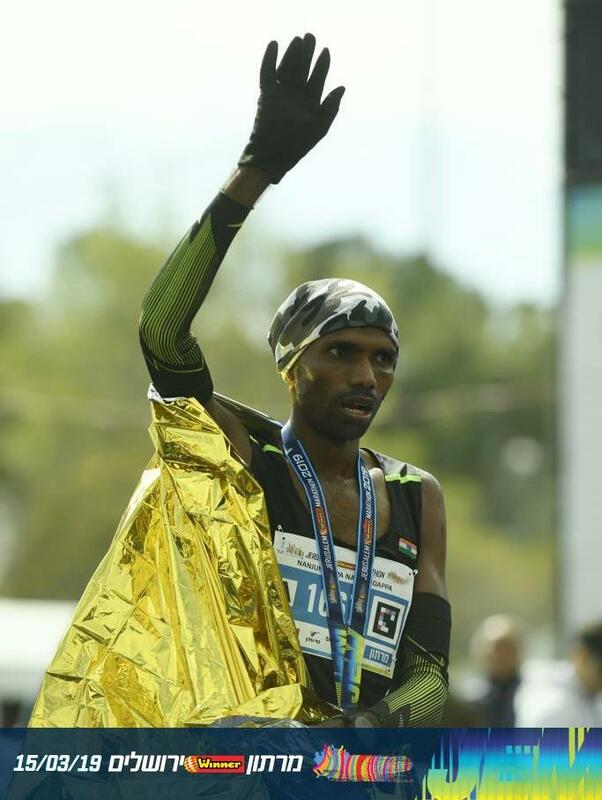 Early today morning (March 17, 2019), Indian marathoner T. Gopi completed the 2019 Seoul Marathon in two hours, 13 minutes and 39 seconds. “ It is the best result so far in my career,’’ Gopi said. Prior to today’s race, Gopi’s personal best (PB) was 2:15:25, which he achieved at the 2016 Rio Olympic Games. The timing at Seoul would also be the closest any Indian athlete has come to in recent times, to the longstanding national record for men in the marathon; two hours 12 minutes set by the late Shivnath Singh in May 1978 in Jalandhar. In 2017, Gopi had triumphed at the year’s Asian Marathon Championship held in China covering the distance in 2:15:48. With the Seoul marathon result, Gopi has met and surpassed the qualification time assigned for the 2019 IAAF World Championships in Doha. For the men’s category in the marathon, the qualifying time for Doha is 2:16:00. 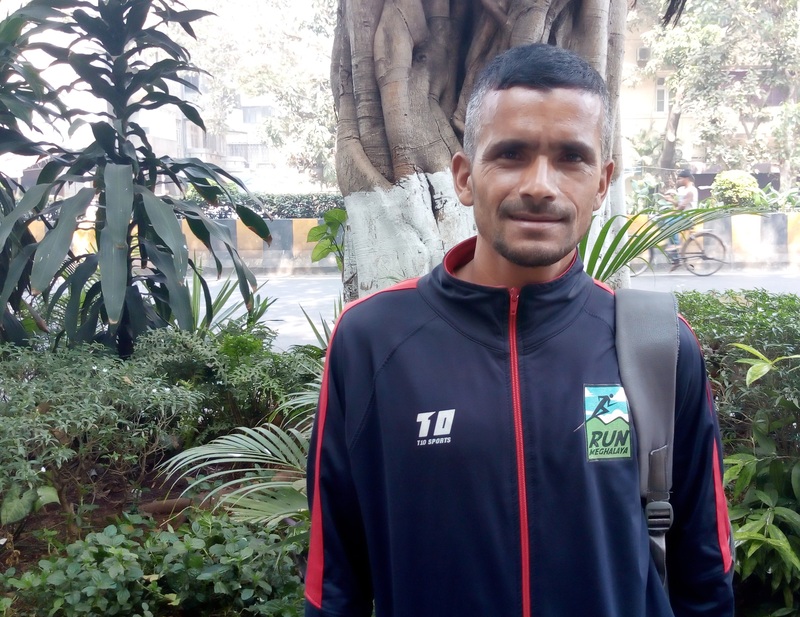 In January 2019, despite preparing well, an unexpected calf injury had prevented Gopi from achieving this mark at the 2019 Tata Mumbai Marathon (TMM). Running well till injury struck forcing him to halt and stretch, he finished second among Indian elite runners with a timing of 2:17:03. At the Mumbai event, from among the assembled Indian elite marathon runners, Nitendra Singh Rawat who won in the men’s category and Sudha Singh who topped the women’s category had managed to meet the cut-off for Doha. Following this setback, Gopi had registered to participate in the 2019 Tokyo Marathon hoping to qualify for Doha. However there were last minute hiccups in securing visa and that plan had to be abandoned. The Seoul Marathon of March 17 had then emerged as alternative. From the perspective of focus in preparations, these developments were a little upsetting. There was some disappointment when Tokyo, for which he had prepared diligently, failed to materialize. But he quickly recovered and got Seoul into focus. According to Gopi, who trained for the event in Bengaluru, conditions were generally cold in Seoul. It also rained the day before the race. “ But the run went well,’’ he said. Gopi has an old hamstring problem. It made its presence felt in the last five to six kilometers. “ Had that not happened the timing would have been still better,’’ he said. The calf muscle issue – which had troubled him in Mumbai – stayed in check. “ There is no completely perfect day in running. You make the best of what you have,’’ Gopi said. The event in Seoul is Asia’s oldest continuously held marathon and the second oldest in the world after the iconic Boston Marathon. Sunday’s race was won by Thomas Kiplagat Rono of Kenya in a timing of 2:06:00. Gopi placed eleventh among elite men. Indian race walker, K. T. Irfan completed the 20 kilometer-race walking event at the Asian Race Walking Championships in Nomi, Japan, in one hour, 20 minutes and 57 seconds. Placing fourth in the competition, Irfan, national record holder in 20 kilometer race walking, became the first Indian athlete from the field of athletics, to qualify for the 2020 Tokyo Olympics. The Tokyo Olympics qualification standard for the discipline is one hour, 21 minutes. The Olympics qualification window for race walking events and the marathon commenced on January 1 this year and will run till May 31, 2020. Irfan had set the national record when registering his personal best (PB) timing of 1:20.21 hours at the 2012 London Olympics. “ Mentally, I am feeling relaxed now. 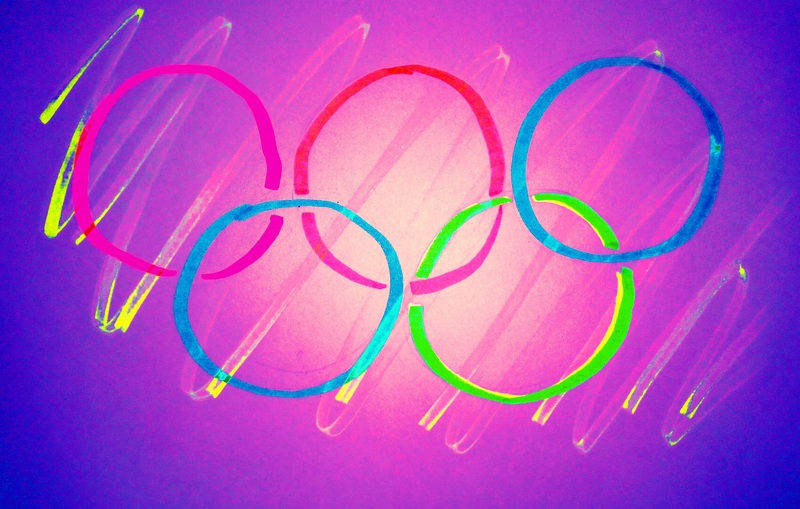 It is good that I have achieved the Olympics qualification mark very early in the season. There is more than a year now to train and prepare for the Olympics,’’ Irfan was quoted as saying in a statement issued by Athletics Federation of India (AFI). “ Today it was raining constantly here in Nomi and it was cold. I could not warm-up properly because of cold and was a bit slow in the first two laps; else my target was to finish in first three,” he said. Japan’s Toshikazu Yamanishi was the winner with a timing of 1:17:15 while Kazakhstan’s Georgiy Sheiko (1:20.21) finished second and Korea’s Byeongkwang Choe (1:20:40) secured the third place. Anu Rani set a new national record in javelin throw at the 23rd Federation Cup in Patiala. The athlete from Uttar Pradesh threw the javelin to a distance of 62.34 meters, improving upon her own national record of 61.86 meters set at the 2017 edition of the Federation Cup. Anu Rani, 26, set the latest record of 62.34 meters in her penultimate attempt, Athletics Federation of India (AFI) said in a statement. With her national record throw, she also achieved the qualification standard of 61.50 meters required for the IAAF World Championships 2019 to be held in September–October in Doha. Anu Rani’s third throw of 58.35 meters had already qualified her for the Asian Championships. “ I have thrown over 64m in practice very often. So I was expecting to throw that much in the competition. But I was making some mistakes in my technique. Now that I am going to the Asian Championships, I will try to improve,” Anu Rani was quoted as saying. 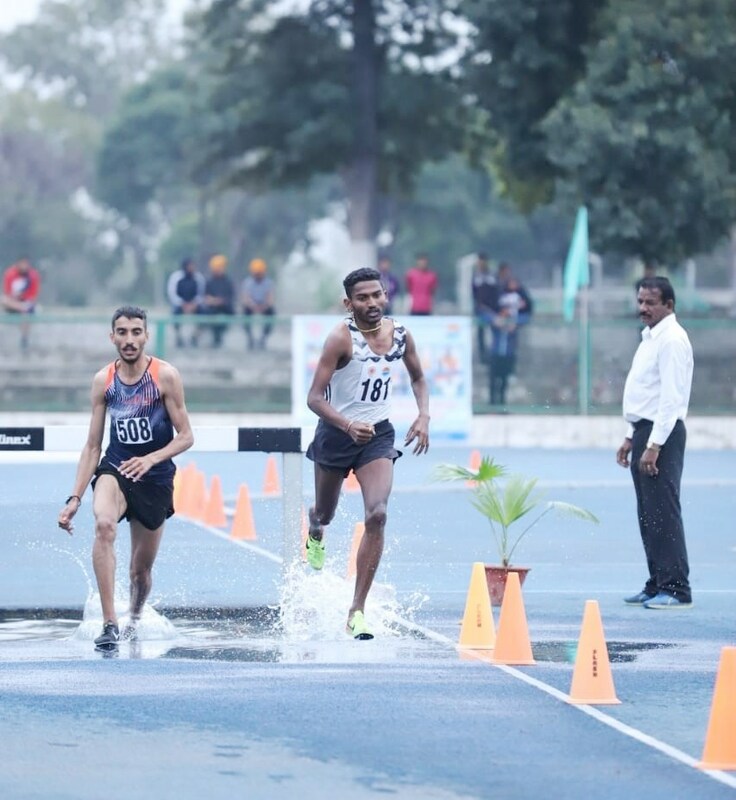 Avinash Sable smashed the national record in the 3000m men’s steeplechase competition on the final day of the 23rd Federation Cup in Patiala. . The 25-year-old stopped the clock at the athletics track at the National Institute of Sport in 8.28.94 to erase his own national record of 8.29.80 recorded just six months ago in Bhubaneswar. According to a statement (dated March 18, 2019) available on the website of Athletics Federation of India (AFI), Sable’s effort was more than enough to secure him a spot in the upcoming Asian Championships. AFI had set 8.35.00 as qualifying mark for this event. Sable’s time was also good enough to get past the qualification mark for the IAAF World Championship due in Doha over September-October 2019, for which the assigned qualification standard was 8.29.00. Shankar Lal Swami placed second with a time of 8.34.66. 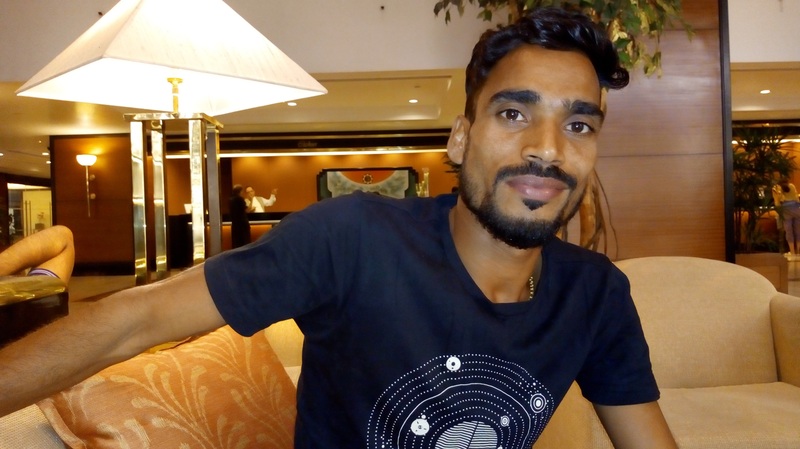 Asian Games gold medalist in the 1500m Jinson Johnson finished first in the discipline at Federation Cup clocking a time of 3.41.67 to finish well under the AFI qualification guideline of 3.46.00 for the Asian Championships. Johnson was followed closely by Uttar Pradesh athlete Ajay Kumar Saroj, who clocked a time of 3.43.57. Also finishing under the AFI qualification guideline was Uttar Pradesh athlete Rahul who stopped the clock at a time of 3.44.94, the statement said. Arokia Rajiv assured himself of a spot on the Indian team that will travel to the Asian Championships, by winning the men’s 400m race in a time that met the AFI’s qualification guideline. Rajiv produced a mini upset by beating the national record holder Muhammad Anas over the quarter mile. Rajiv clocked a time of 45.73 to finish 0.12 under the AFI qualification standard of 45.85. Also assuring herself of a spot in the Asian Championships was Swapna Barman, Asian Games gold medalist in the women’s heptathlon. According to the AFI statement, Barman had a relatively slow 800m race to finish her competition but her total of 5901 points was more than enough to meet the AFI qualification guideline of 5800 points. Gavit Murali Kumar of Gujarat was winner in the men’s 10,000 meter race at the 23rd Federation Cup held in Patiala. He crossed the finish line in 29.21.99 minutes. He and four other athletes cleared the qualifying guideline of 29.50.00 in the men’s 10000m race for the Asian Championships, due in Doha in April 2019, ahead of the IAAF World Championships later in the year. Abhishek Pal of Uttar Pradesh came in second with a time of 29.22.37; the bronze medal went to Kalidas Hirave who clocked 29.25.16. Defending champion G Lakshmanan came fourth with a time of 29.26.41 while Vasudev Nishad came fifth in a time of 29.31.42, Athletics Federation of India (AFI) said in a statement. All of them have thus cleared the qualifying mark. 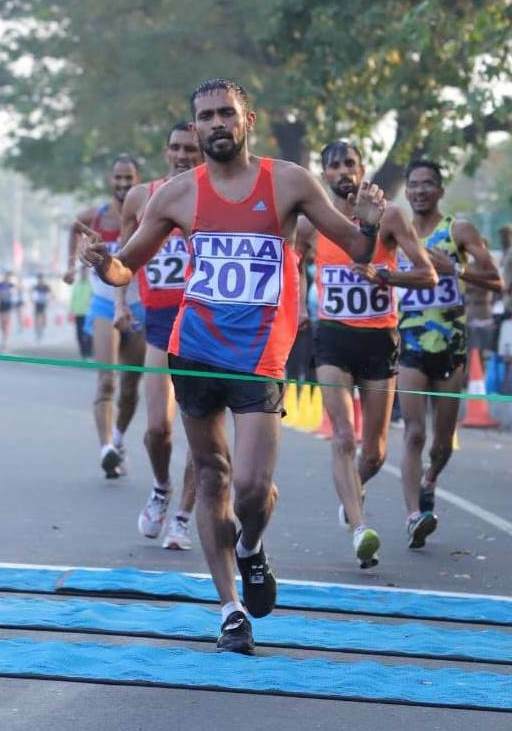 Bengaluru-based M. Nanjundappa finished ninth overall and eighth among men at the Jerusalem Marathon held on March 15, 2019. He crossed the finish line in two hours, forty-eight minutes and two seconds. 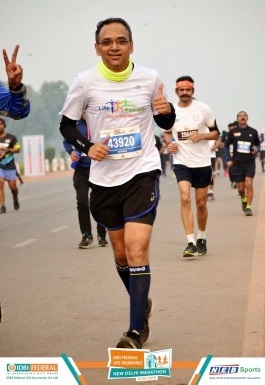 On February 24, 2019, he had participated in the IDBI Federal Life Insurance New Delhi Marathon and secured third position in his age group of 18-35 years with a timing of 2:38:48. “ At Jerusalem, the route was very tough with many uphill sections. That’s why my timing suffered. Also, I had run a marathon in New Delhi just over 20 days earlier,” Nanjundappa said. Karnataka Athletic Association took the initiative to see him participate in this marathon, he said. 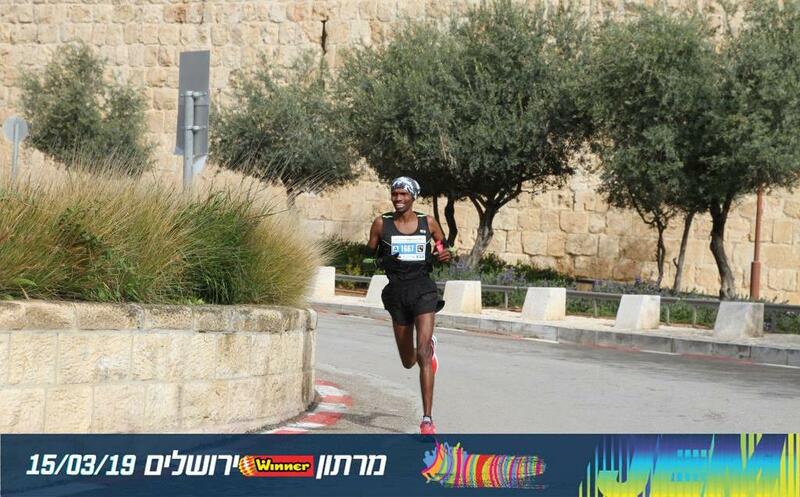 “ The organizers of the Jerusalem Marathon took very good care of athletes,’’ he said. Nanjundappa trains under coach, K.C. Kothandapani, in Bengaluru. At Jerusalem Marathon, it was a Kenyan sweep in both the men’s and women’s categories of the race. Kenya’s Nancy Chepngetich Kimaiyo was the winner among women with a timing of 2:44:50. Ronald Kimeli Kurgat, also of Kenya, won the men’s race with a timing of 2:18:47. “ Approximately 40,000 runners from 80 countries around the world ran a breathtaking route, passing through the Old City walls, the Sultan’s Pool, Mishkenot Sha’ananim, Mount Zion, the German Colony, Rehavia, the Armon Hanatziv Promenade, Ammunition Hill, Mount Scopus, Mount of Olives and other sites,’’ The Jerusalem Post noted in a report on the marathon. Not so long ago, Rahul Jadhav was cooling his heels in Mumbai’s Arthur Road jail. Picked up by the police in 2007 and charged under the Maharashtra Control of Organized Crime Act (MCOCA), Rahul, during his prison tenure, developed fondness for drugs as well. Initially out on bail in 2010 and wanting to live a normal life, Rahul however kept getting arrested in other cases. During this phase, he managed to secure a regular job but was forced to abandon it after the cops picked him up again. In 2013, he was finally acquitted of the charges filed against him. Rahul recommenced his search for a job but no employer wanted to hire a former criminal. The disappointment drove him deeper into substance abuse. He also contracted tuberculosis. Finally, his family got him admitted to Muktangan Rehabilitation Center, Pune, to combat the drug addiction. A year later, one of his counselors suggested that he attempt a 10 kilometer-run in Pune. “ When I started running I understood my capability. I realized that running a marathon and living a life are very similar. The finish line in a marathon is akin to life’s future. You run towards your future,’’ Rahul said. Just as running made him aware of his capability, Rahul began to realize that he should be realistic about his job expectations. While at Muktangan, he used to do various tasks for which he earned a honorarium of thousand rupees per month. He was told that such work would keep his chances of securing a job alive, once he left the institution. That hope also prompted him to improve other aspects of his life. “ I began working on my English and also started reading newspapers to be up to date on news and information,’’ he said. Meanwhile, running engaged his mind and he continued running long distances. 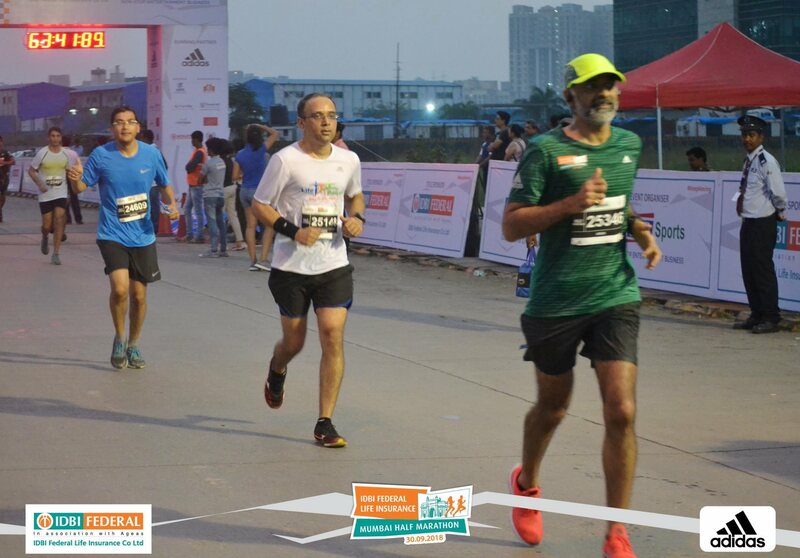 In 2016, the year he started running, he also attempted a full marathon – Pune Running Beyond Myself Marathon – held in October. Journeying alone, Rahul persisted with his distance running. 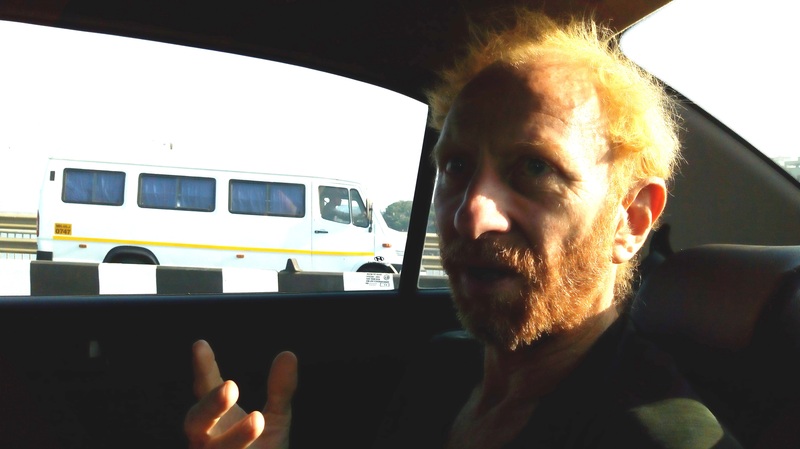 He attempted Mumbai-Khopoli, Mumbai-Pune several times besides other similar distances. In the meantime, he also secured employment at Morde Foods Pvt Ltd. “ I laid my life threadbare before my employers. I realized, there was no point hiding the truth. This helped me get the job,” Rahul said adding that apart from his salary he was also given an allowance to fund his requirements in running. He now works in logistics at the company. When you break the law and indulge in criminal activity, society shuns you. That happened to Rahul too. He had bridges to rebuild. “ I had to go to my village in Ratnagiri district. I decided to run the distance. I did a Google search and found some lodges where I could spend nights,’’ he said. Strapping a haversack to his back, he ran all the way to his village in Ratnagiri, south west Maharashtra (the Internet estimates the distance from Mumbai to Ratnagiri at 346 kilometers). This run essayed in January 2018, was his gesture of atonement. He was welcomed at his destination, Rahul said. Fascinated by ultra-distances, Rahul then decided to attempt Mumbai-Kathmandu. Discussing this with a friend from Nepal, he realized that he should ideally attempt a shorter distance. That’s how the idea of running from Gateway of India in Mumbai to India Gate in New Delhi came about. Muktangan stepped in to organize the run with the aim of creating awareness about drug de-addiction. Morde Foods’ owner Harshal Morde contributed to financing the run. 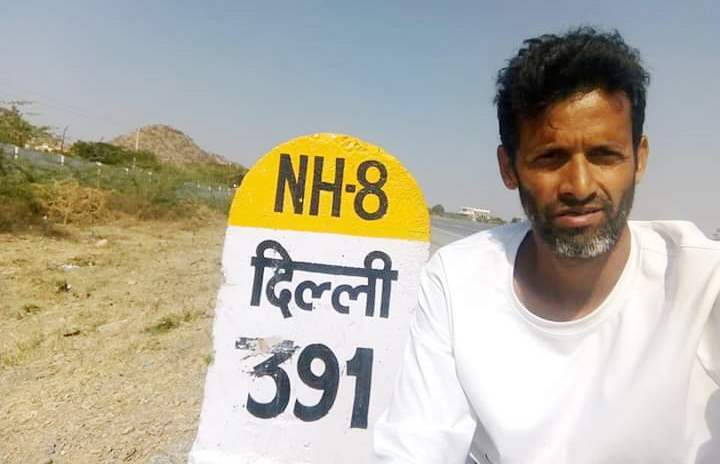 Rahul ran an average of 80 kilometers everyday covering the distance in 19 days and seven hours. “ Most days I ran a distance of 75 kilometers and occasionally, 100 kilometers. One day, I could only run 15 kilometers and had to stop because of injury but I made up later,’’ he said. He completed the run on February 20, 2019. 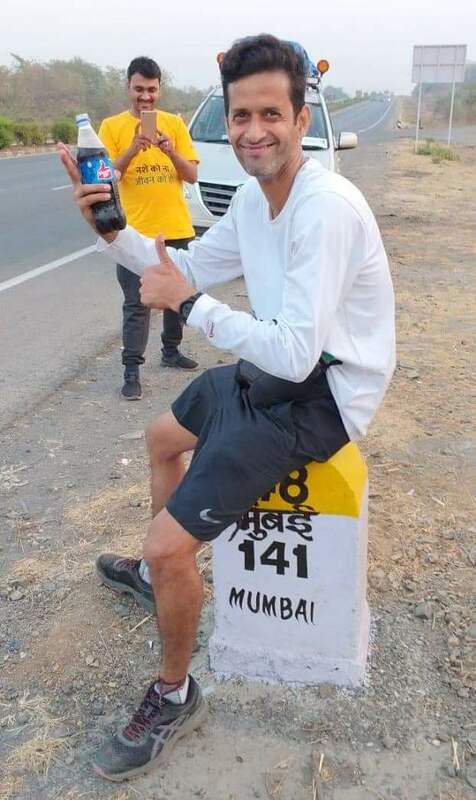 Arun Bhardwaj, India’s best known ultra-runner who is also noted for pioneering the sport in the country, was at the finish line to receive Rahul. Rahul lives in Kalbadevi, Mumbai. He visits his parents in Dombivili every Sunday. “ They now sleep peacefully at night,” he said. Ethiopians Birhanu Legese and Ruti Aga emerged winners in the men’s and women’s race respectively at the 2019 Tokyo Marathon on March 3, 2019. Birhanu Legese finished in two hours, four minutes and forty-eight seconds. Ruti Aga crossed the finish line in 2:20:40 to win it. Heavy rains marred the race. Among men, Kenya’s Bedan Karoki came in second with a timing of 2:06:48, exactly two minutes behind the winner. Kenya’s Dickson Chumba, a two-time winner of the Tokyo Marathon, finished third in 2:08:44. Among women, Ethiopians Helen Tola came in second (2:21:01) while Shure Demise (2:21:05) finished third. Ethiopian Yomif Kejelcha set a new indoor one mile world record during the Bruce Lehane Invitational race in Boston early March. With a timing of 3:47:01, Yomif broke the previously held record of 3:48:45 set way back in 1997 by Morocco’s Hicham El Guerrouj. Yomif is coached by America’s Alberto Salazar, former long-distance runner and currently track and field coach. 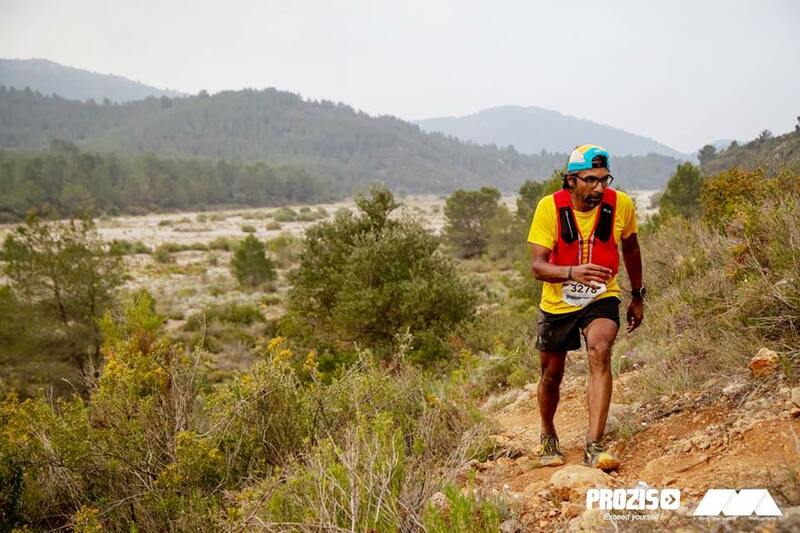 Ullas Narayana, winner of India’s first international medal in ultra-running, has been chosen to lead a team of five athletes at the International Association of Ultrarunners (IAU) Trail World Championships, scheduled to be held at Miranda Do Corvo, Portugal on June 8, 2019. The team includes Kieren D’Souza, Tlanding Wahlang, Radhey Kumar, Rajasekar Rajendra and Ullas Narayana. To be eligible, AFI had set norms requiring athletes to have run category-specific races and obtained the specified benchmark – a cotation of 650 (men) and 550 (women) in ITRA Race Category S (45 km – 74 km) or M (75 km to 114 km) in a period of 18 months before the date of the championships and the last date for submission of applications. Also, the athletes were required to have run an ultra-race in a period up to 12 months before the championships, AFI said in a statement on its Facebook page. “ I am glad I have made it to the Indian team once again for a top international competition. 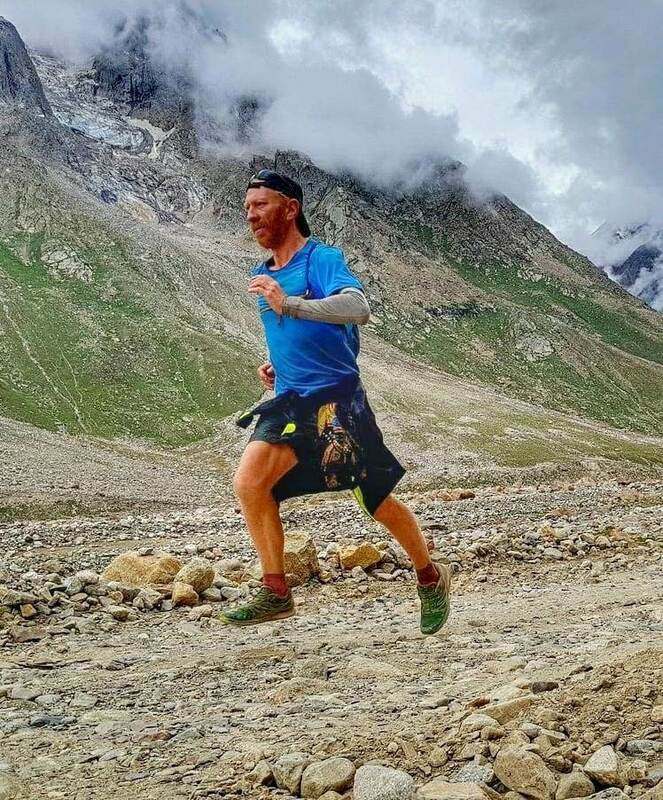 The level of trail runners is fast improving in India and competition is getting tougher with each passing year. I was also part of the Indian team in 2017 Trail World Championships and it was first world championships for us. I am confident we will have better results compared to last time which is our main target and to keep improving our overall standard at international level in ultra-running,’’ AFI’s statement said quoting Ullas Narayana. He had won a bronze medal at the IAU 24Hr Asia-Oceania Championships in Taipei in December 2018. Dr Hitendra Mahajan and his younger brother Dr Mahendra Mahajan will commence their Sea to Sky expedition on March 31, 2019, from Gateway of India, Mumbai. The Sea to Sky expedition entails cycling, trekking and mountaineering. The duo will cycle from Mumbai to Kathmandu in Nepal, trek to Everest Base Camp and then attempt Mount Everest. Way back in 1996, Swedish adventurer, the late Goran Kropp had cycled from Sweden to Nepal, climbed Mount Everest and cycled back part of the way. In 2015, the Mahajan brothers had shot to prominence becoming the first Indians to complete Race Across America (RAAM), widely considered to be one of the most challenging races in ultra-cycling. 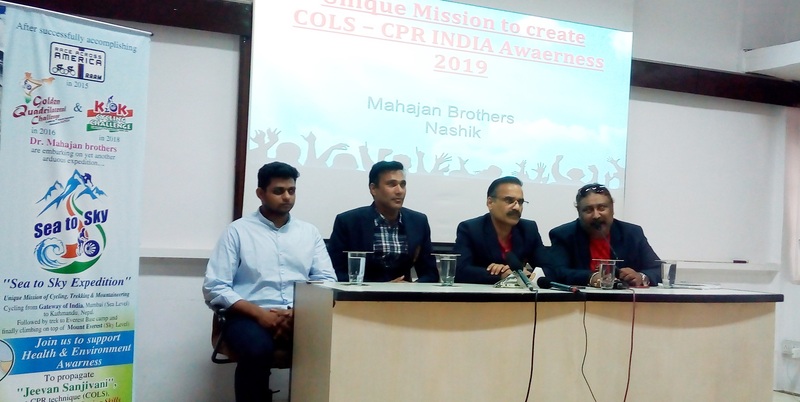 The Mahajan brothers’ expedition aims to create awareness about Cardio Pulmonary Resuscitation (CPR). It will have sessions on CPR conducted by Jeevan Sanjivani, Hitendra said at a press conference in Mumbai. The brothers have estimated the cost of the expedition at Rs 70 lakh and are in the process of raising the money. Force Motors have come in as one of the sponsors of the expedition, offering Rs 10 lakh by way of support. Starting from Mumbai on March 31, the brothers will have a stop at Nashik. By the end of that day, they are scheduled to reach Dhule in Maharashtra. Among other halts mentioned so were Indore, Kanpur, Lucknow, Basti, Butwal and Bharatpur before crossing the border with Nepal to eventually reach Kathmandu. The trek to Everest Base Camp is slated to commence on April 8. The team expects to reach base camp in nine days. After acclimatization, the climb up Mount Everest will start depending on a favorable weather window, Mahendra said. In September 2018 I ran my first Satara Hill Half Marathon. It was a big achievement for me considering the fact that I had never done any running prior to January 2018 and had only run my first race (a 10K) in February. A year earlier I would have hardly believed that I could run a distance of 21 kilometers let alone in an “ ultra’’ hill marathon but just after finishing the race in Satara my mind was already asking the question: what next? Around that time I came across an interesting quote by Joe Vitale in a blog on running. It said: A goal should scare you a little, and excite you a lot! I decided to aim high and try to attempt the full marathon. I have no illusions about my athletic ability. I am from a middle class family with the customary emphasis on education and academic excellence. Growing up, I played cricket and other games in the housing complex (after finishing home-work). That and the occasional sprint to catch the BEST bus on my way to school were about the entire extent of my physical activities. The rigmarole of undergraduate and postgraduate medical education (I am an eye surgeon by profession) left me hardly any time (and inclination) for fitness pursuits. The situation only worsened in the next phase of life viz. setting up a medical practice and settling down. I always disliked the gym. So to reduce weight and build fitness, I turned to running. I started small by following a `Couch to 10K’ app and gradually built up running distance and time. After completing my first 10K, I joined the Navi Mumbai-based running group `Life Pacers’ for further training. It was a decision that proved to be truly transformative. Full credit for the improvement in my fitness and running ability goes to Life Pacers’ training. Life Pacers is mentored by Pravin and Arati Gaikwad (both of them, doctors), Debabroto Ghosh and coached by Dnyaneshwar “Don’’ Tidke. The program is customized to suit each runner’s ability and focused on injury prevention and improving running-longevity. Personal strength training is also provided in a gym; it contributes to performance enhancement. Within six months of joining the group I could go from 10K to finishing three half marathons and three 10K races; I also improved my timing steadily. When I enquired if I could take a shot at the full marathon, the seasoned runners around were very encouraging. However they advised me to train well and run with no time-target in mind. Don and Dr. Pravin recommended that I wait two to three years and build up a solid foundation to avoid risking injury. I assured them I would attempt the race only if I completed all scheduled runs including long runs comfortably (they were still not happy; they were concerned I may get injured). 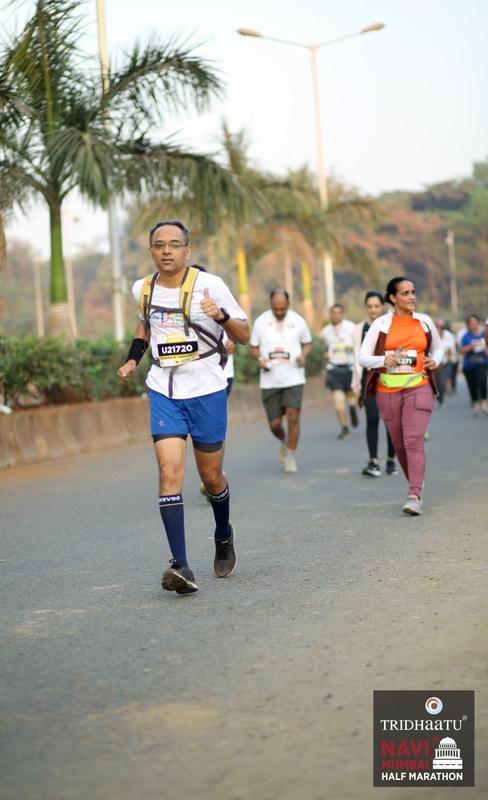 The training for the 2019 Tata Mumbai Marathon (TMM) – I was running the half, it being my first TMM – started in mid-October 2018. It was quite intense with speed drills, tempo runs and progressively longer long, slow, distance (LSD) runs. It was rather exhausting at times but the improving metrics provided motivation to keep going. I had five weeks between TMM and my first full marathon. The event I had chosen was the New Delhi Marathon, scheduled for February 24, 2019. It was reputed to have a generally flat course and the weather expected to be fairly cool. At 2019 TMM I completed the half marathon in one hour, fifty-nine minutes and thirty-five seconds. Post TMM, as others in my group enjoyed a well-earned respite, I ploughed on. The longest I had run prior to TMM was 26 kilometers and I knew I needed longer runs under my belt before I could deem myself prepared for the full. I was following Hal Higdon’s Novice 1 program apart from regular training and asked Don for additional advice. He gave me (reluctantly and under statutory warning!) a LSD schedule for the next four weeks which I followed to the T.
As per everyone’s advice, my race strategy was very simple: run at comfortable pace, focus on hydration and nutrition, enjoy the race (you only run one first full marathon) and finish strong with a smile on my face (after all, PB [personal best] was guaranteed!). I had done all my longer runs (30 kilometers and more) comfortably at 6:10 pace. So I decided to target the same pace in the race. I broke down the race into five parts of eight kilometers each; I targeted to finish each segment in 50 minutes. This way I was not too preoccupied with my Garmin and yet could keep track of my progress. We had an early start at 4 AM. The pre-race atmosphere was crackling with energy. A little warm-up, a push-up challenge and we were off! Since I had a predetermined plan, I decided not to go with any pacer. The weather was comfortably chilly with mild breeze and the route was flat with very good arrangements for hydration and nutrition (basically no room to complain or give excuses; the race was entirely mine to screw up!). I started slowly and resisted the urge to accelerate and get carried away by the crowd (occasional shouts from pacers like “only 38 kilometers to go,’’ also helped in slowing down!). I reached my targeted pace by the eighth kilometer. After that I just held the pace and enjoyed the wide roads and famous sights of a New Delhi, slowly waking up. The end of the first loop (21 kilometers) came and went and I was feeling quite strong. Still, I decided against any acceleration and held the pace till 32 kilometer-mark. I was well within target after every eight kilometer-block, so I was relaxed. Running a marathon – especially when you do so alone – can be a contemplative experience. A lot of thoughts go through the mind as one runs those long miles on the return leg of the course. I reflected with gratitude on all the speed intervals and high intensity interval training (HIIT) exercises performed grudgingly, earlier. They were now helping me to finish strong. I recalled all the encouragement and motivation from my friends and running buddies which was keeping my spirits high. I also remembered fondly, the understanding with which my family supported me. On the return stretch of the second loop I got caught up in the flow of half marathon and 10K runners as there was no separate lane for those attempting the full marathon. At most places, the wide roads ensured no hindrance but in one or two places where the course was narrow, it created bottleneck. A small loop ahead of the finish line was a little vexing. But before I knew, the finish line loomed in front and I crossed it with a smile on my face. I clocked four hours 24 minutes. About 40 per cent of the runners in the field got a faster time than me but I count my race a success as I stuck to my plan and finished strong without injury. It was roughly a year since I did my first 10K race in February 2018. From couch potato to running sub-2 half marathons and sub-55 10K races, what an amazing journey the past 12 months has been! And now, I’m marathoner too. According to information available on the website of the International Association of Athletics Federations (IAAF), the IAAF Council recently approved a new Olympic qualification system for the 2020 Olympic Games in Tokyo. This will give athletes more opportunities to achieve the required entry standards. The qualification window has been extended by two months for most events. “ This will start on 1 May 2019 (instead of 1 July 2019), to include more international competitions such as the IAAF Diamond League, and end on 29 June 2020,’’ the statement (part of a press release dated March 11, 2019) said. Qualify by virtue of his / her IAAF World Ranking position in the selected event at the end of the respective qualification period. The process is designed to achieve about 50 percent of the target numbers for each event through Entry Standards and the remaining 50 percent, through the IAAF World Ranking System, the statement said. Another statement available on the IAAF website informed that the IAAF Council agreed in principle with the Race Walking Committee’s proposal to change the competition program for race walking in order to protect and promote the discipline at major international championships and its appeal and attractiveness to new audiences. Roll out of two of the following events: 10km, 20km, 30km or 35km from 2022. The above decisions and others were made at a recent meeting of the IAAF Council in Doha, venue for the upcoming edition of the World Athletics Championships.